Steven brings 8 years of programming experience, deep level Drupal development expertise and a strong grasp of agile methodologies to his role as a Senior Drupal Developer at Mediacurrent. He is an Acquia Certified Developer. 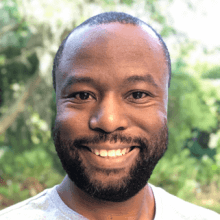 After graduating from Old Dominion University with a degree in computer science, Steven worked for a small company as a web developer and gained his first experience with Drupal. He continued to build his web development career in the publishing industry, developing and maintaining public facing websites such as Parenting, Islands, Florida Travel and Life, Warren Miller Entertainment, Deer and Turkey Expos and more. Prior to Mediacurrent, Steven was a developer for an agency focused on open source technologies. Steven loves anime, video games and entirely too much star trek (next gen!). He also loves to create homemade perfumes and colognes using essential oils and currently resides in the Orlando, Florida area.